Allegro is a new early season variety which was developed at Fresh Forward’s June-bearing breeding program. Allegro, a term in music and dance denoting a brisk tempo, lives up to its name through its fast production pace and high total yield. 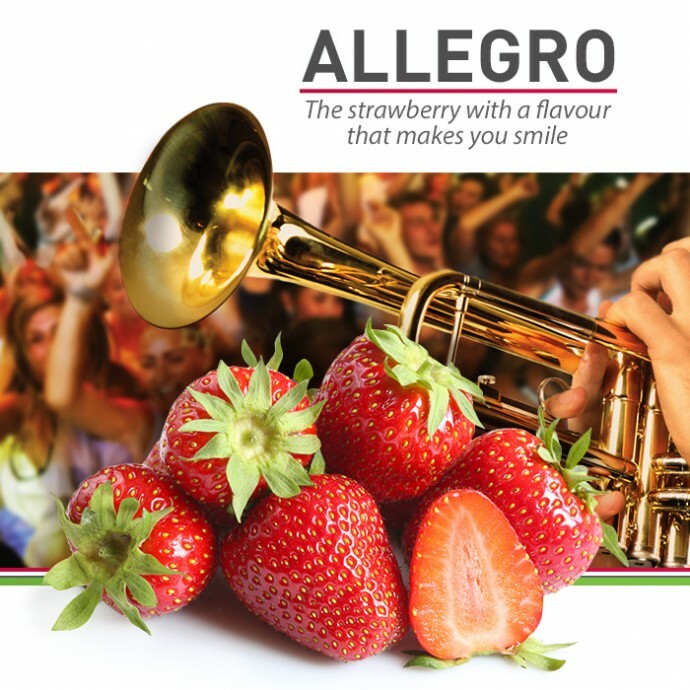 In terms of fruit quality, Allegro also manages to impress! It is characterised by very uniform and bright red fruits, with excellent taste. Allegro is a healthy and fast growing plant, with good tolerance to soil diseases. Allegro has a bright future ahead, particularly in early tunnel and open field cultivation. Sonata is precisely what a strawberry should be: very tasty and attractive. This mid-season single-cropping variety is characterised by excellent setting and yields of attractive, uniform fruit containing a high percentage of class I strawberries. Sonata strawberries are easy to pick and require little sorting. The variety is suitable for many different cropping systems from Scandinavia to the Alps. 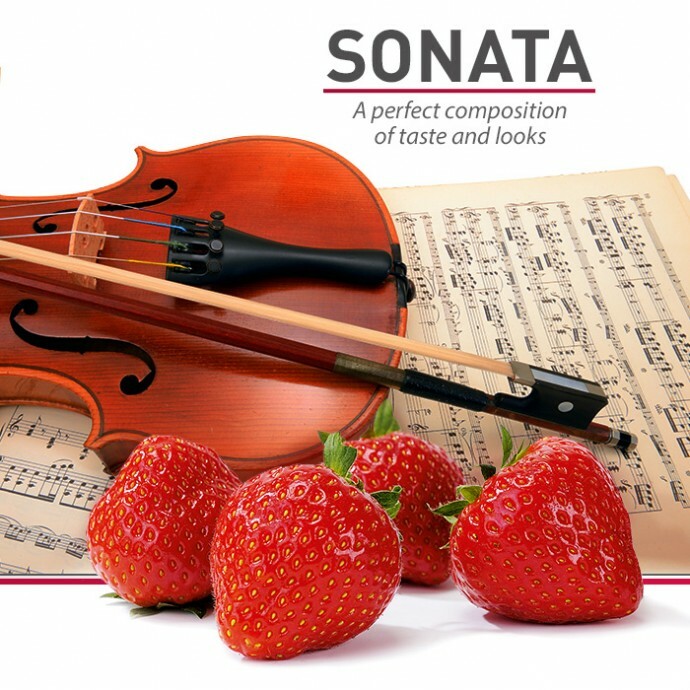 Sonata guarantees juicy strawberries with a sweet taste and a distinct strawberry aroma. Typical of Sonata are its conical shape, orange-red colour and attractive crown. The firm fruits retain their attractive shiny appearance even after a few days’ storage. Opera is a variety from Fresh Forward’s breeding programme of short-day varieties. 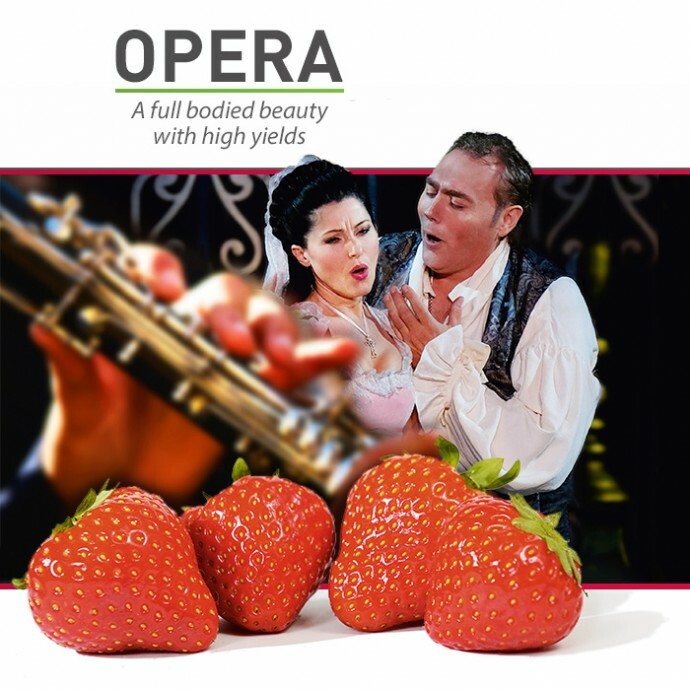 Opera combines a range of exceptional characteristics such as large fruit, a beautiful shine and a very high picking rate. These characteristics make Opera an excellent alternative to Elsanta in (greenhouse) table-top cultivation. 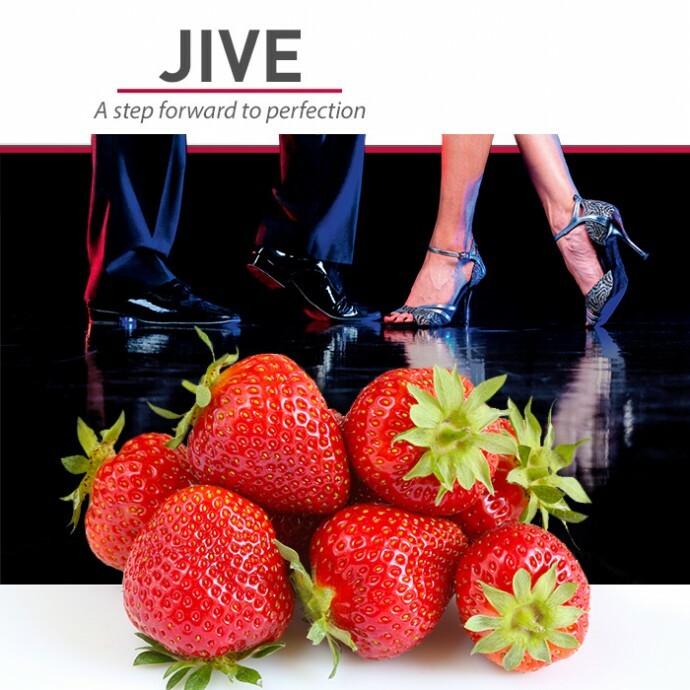 Jive is a late June bearer with large, firm, very shiny orange-red fruit. The well-shaped, attractive berries are striking for a late variety. They ripen slowly and their harvest period is on average 7 to 10 days later than that of Elsanta. The plant is compact and robust, with a heavy, extensive root system and foliage of a conspicuous dark green colour. It produces only few runners, which means that most of the plant’s energy is directly available for the berries and flower trusses.